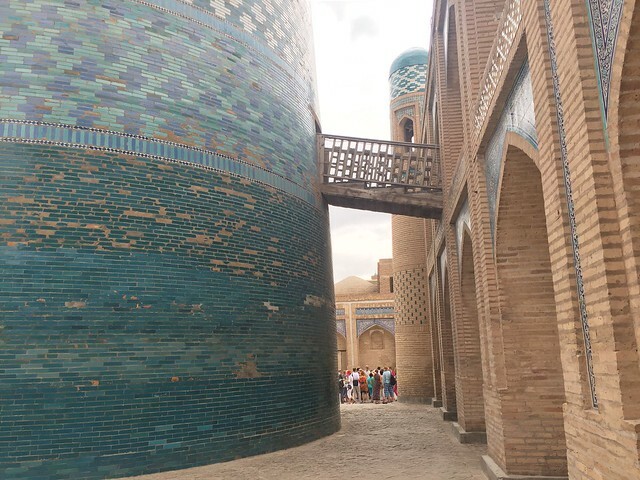 Uzbekistan is a wonder: some people wonder where exactly it is, some wonder why on earth one would go to such a place, and the others wonder why they haven’t visited it yet. 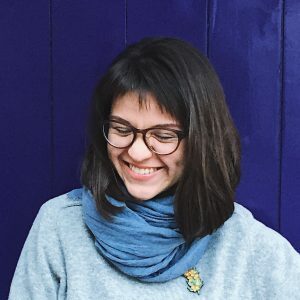 Among all the former Soviet republics in Central Asia Uzbekistan was the luckiest: it got all the glory and beauty of the region, with its blue-tiled mosques rising up to the sky and grand mausoleums hiding the mysteries of the place. 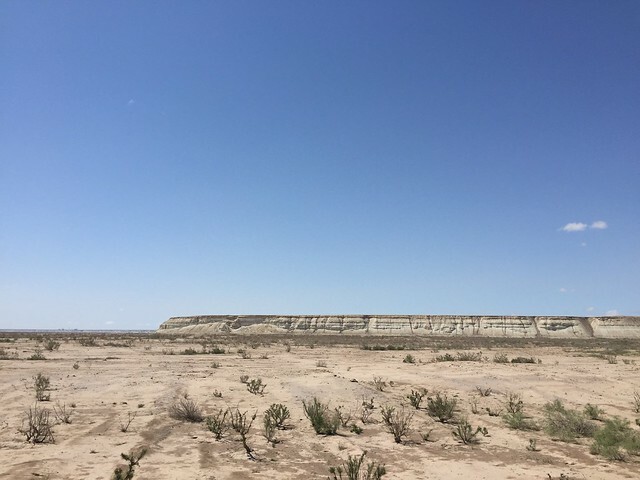 Uzbekistan’s top sights – Khiva, Bukhara and Samarkand – never fail to impress their visitors; the hunters for more exotic attractions will be amazed by the dying Aral sea and the desolation of Karakalpakstan. The [book](http://shop.lonelyplanet.com/asia/central-asia-travel-guide-6/) says that Khiva was founded when Shem, son of Noah, discovered a well here; his people called it Kheivak, from which the name Khiva is said to be derived. 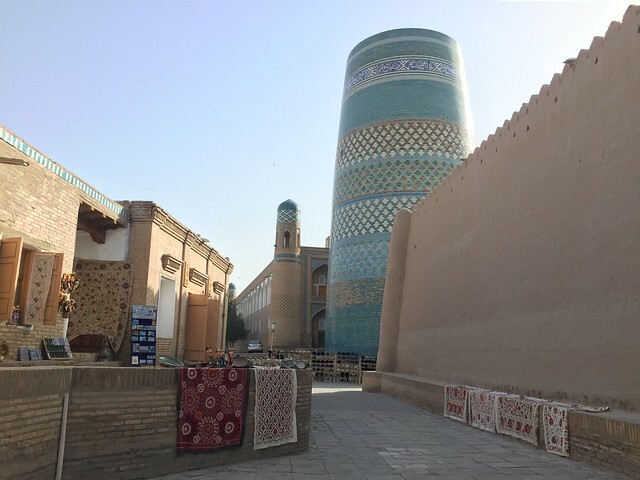 Founded some 25 centuries ago, Khiva was one of the cities of ancient Khwarezm. 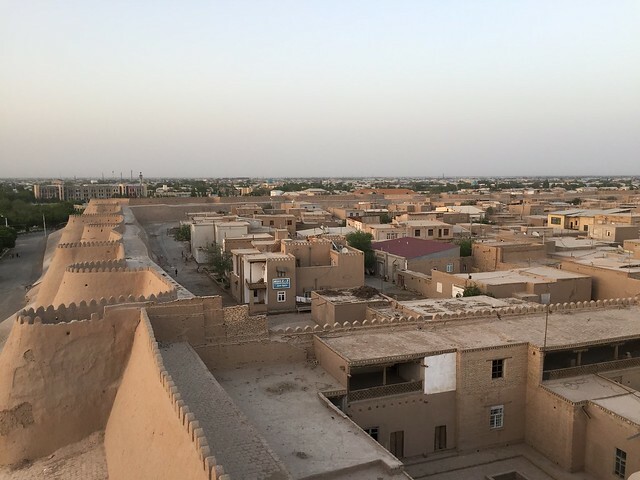 Located just about 35 kilometers from Urgench, a big transportation hub of the region, Khiva can easily be reached by taxi. 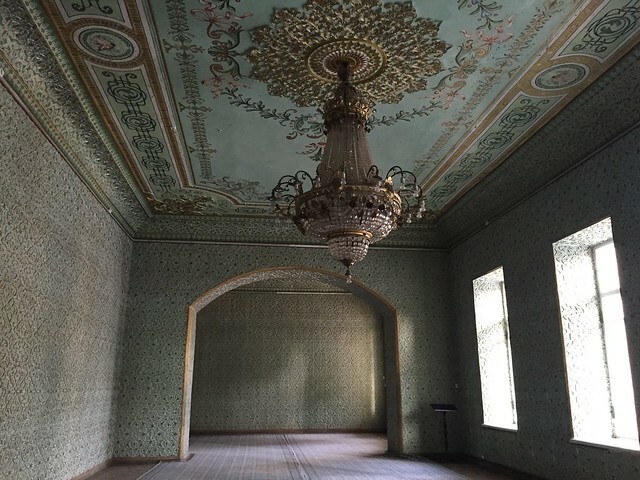 A direct flight from St. Petersburg to Urgench took about 4 hours, then another hour by car, and you’re in the heart of Khwarezm, all surrounded by history and minarets. 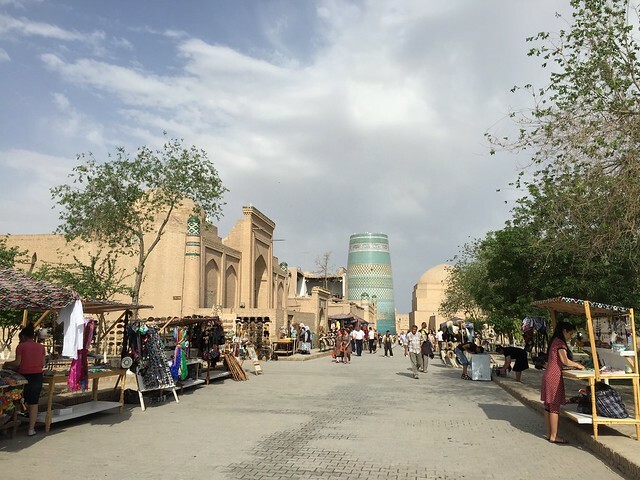 Khiva is nice and quite small; one full day should be enough to visit all its sights. The main attractions include **Ichon Qala** – the old city surrounded by the clay walls. 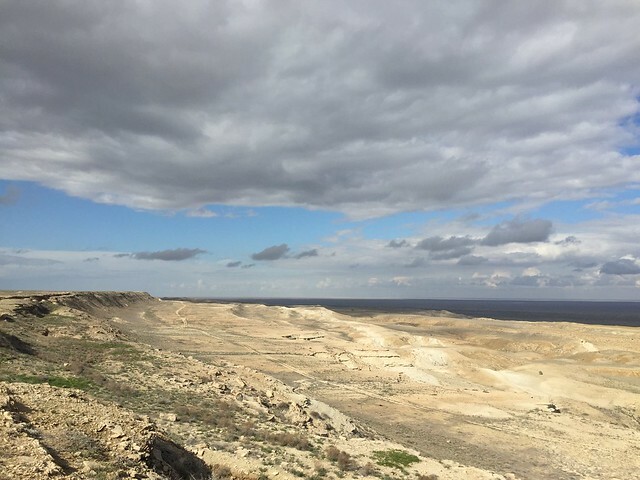 You can walk around the Ichon Qala without a ticket and even climb the walls but note that visiting nearly all the other sights would require a one good-value ticket that can be purchased at the West Gate. 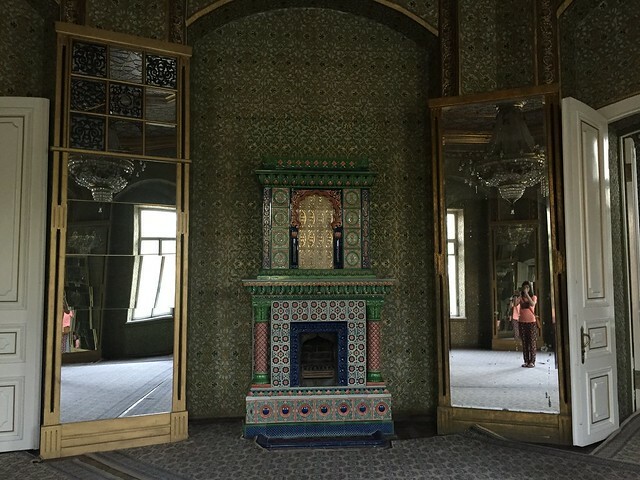 The other attractions include **Kalta Minor** – fat turquoise-tiled minaret that was begun in 1851 by Mohammed Amin Khan but was never finished. According to the legend, Mohammed wanted to build the minaret so high that when he climbed to the top he would be able to see Bukhara from there (and it’s about 450 km away). Anyway, the khan dropped dead in 1855, and the minaret was never finished. It looks a little funny, and you can see that there should be something more to it, but it certainly dominates the landscape and adds certain charm to the city view. Walk around Ichon Qala some more, and you will bump into numerous minarets, mosques and medresas all around the city. 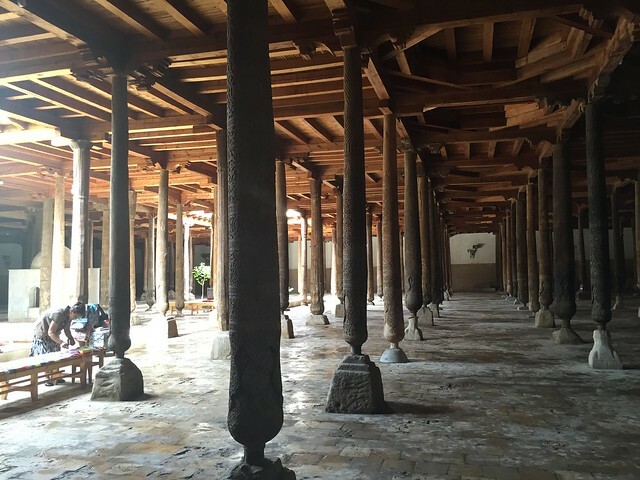 **Juma Mosque** is quite large and interesting for its 218 wooden columns that resemble ancient Arabian mosques. Six or seven of these columns date back to the 10th century! 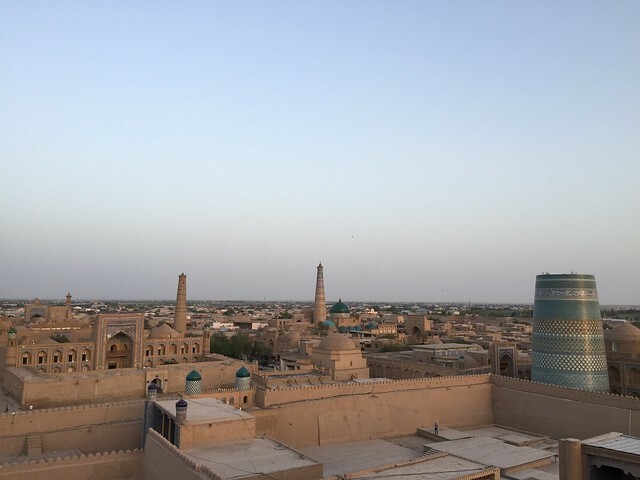 Khiva is at its best at sunset and dawn, so make sure you stay a little to absorb all its beauty. 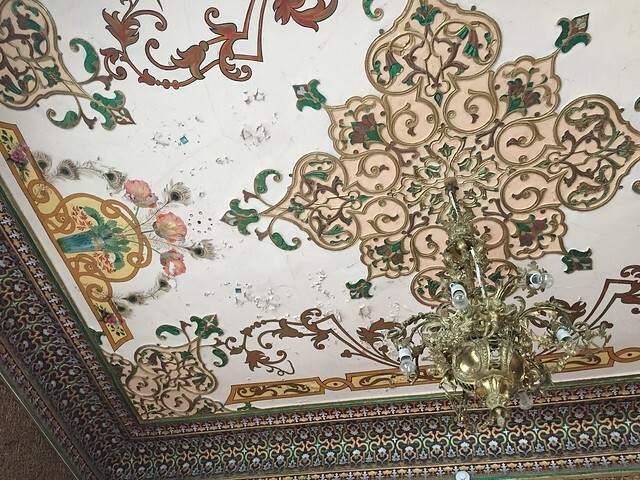 When you think of Uzbekistan, you probably never imagine it to be anything like Karakalpakstan. A desolated region populated by some 1.2mln Karakalpaks, a Turkic formerly nomadic tribe, can make you feel sad if not depressed. The tragedy of the dying Aral sea impacted the whole Karakalpakstan that used to live off fish industry dependent on the waters of the sea. Since 1960 the sea has lost about 90% of its water, and its shore has moved hundreds of kilometers from where it used to be. The consequences are quite tragic: unemployment, bad ecological situation and high child mortality. The piece of advice “See it while you can” that we followed when [visiting North Korea](http://paperpaper.ru/once-in-korea/) is just as applicable to the Aral sea. 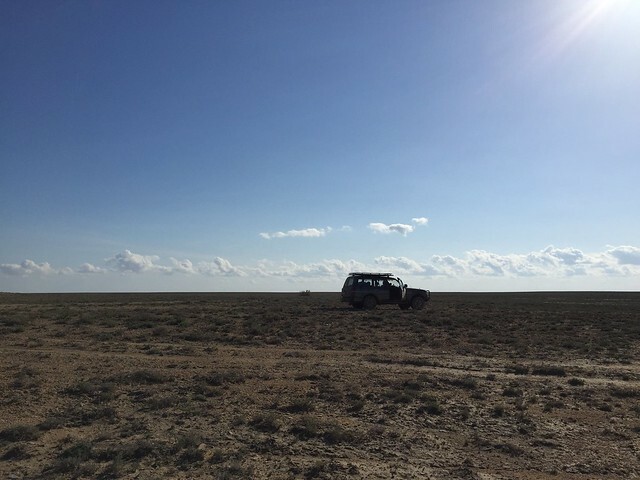 We took a jeep excursion from Nukus, the capital of the region, and went off to see the remainings of the once 4th largest lake in the world. Unfortunately, the day before our trip began it was raining cats and dogs, so we couldn’t drive on the bed of the sea because we probably wouldn’t really make it too far due to all the mud, so we drove on the plateau that rises above the sea instead. 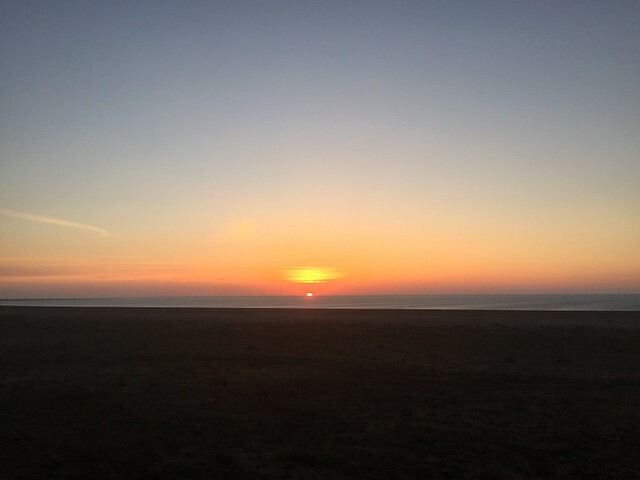 The views were Martian. 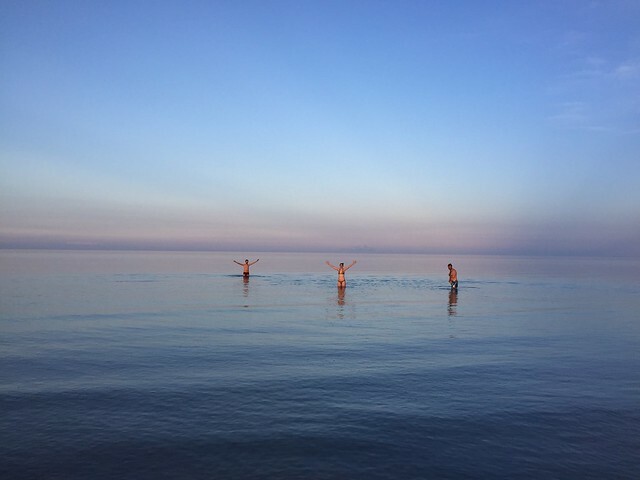 When we finally arrived at the sea shore after about 6 hours of driving on the rough roads (or lack thereof, for that matter) it was already getting dark but the guys were still committed to swimming. 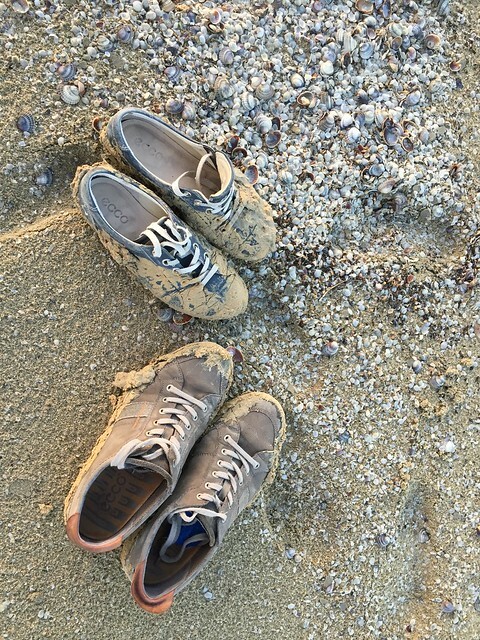 This required walking for about half an hour in knee-deep mud to the water’s edge and then another 50 meters in the muck of the sea until the water was deep enough to swim but the guys said it was totally worth it. The water is so salty you can easily stay on the surface without drowning. 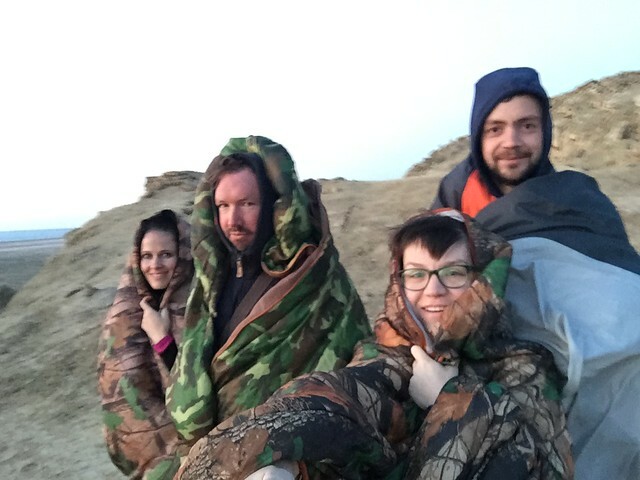 If you decide to visit the Aral sea with one of the jeep excursions, rest assured: you will be treated to a delicious dinner, vodka, long talks with the guide, night in the tent and a windy and stunning sunrise over the Aral. 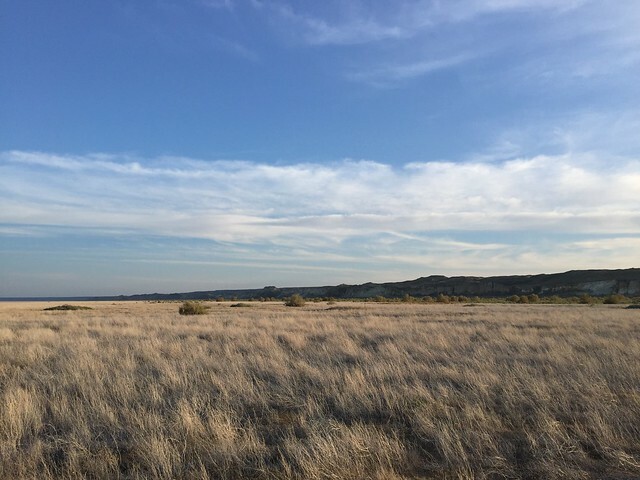 Is it worth the whole effort and $500 for the trip? Every minute of it. Not to mention the fascinating ship cemetery in Moynaq.